Foreign National: Is this the best new bar in Seattle? With molecular mixology, Asian street food and a distinct vibe, this new spot on Capitol Hill is the most ambitious and exciting bar to open so far this year. Much buzz has surrounded Foreign National given that it’s from the folks behind the acclaimed French-Vietnamese restaurant Stateside and that the bar staff has pedigrees from Sun Liquor and Canon. Like the most ambitious bars, this Capitol Hill spot, opened three weeks ago, didn’t want to just schlep drinks. They wanted to offer an experience. They wanted to set a mood. It’s movie-theater dark in here; a blast of AC after you pass the chain-link curtains subtly signals that you’ve stepped into a different era. It’s an expat-bar meets Saigon speak-easy with an artsy, disco-like ball spinning above and shiny swan motifs perched everywhere from the bar to the restroom. 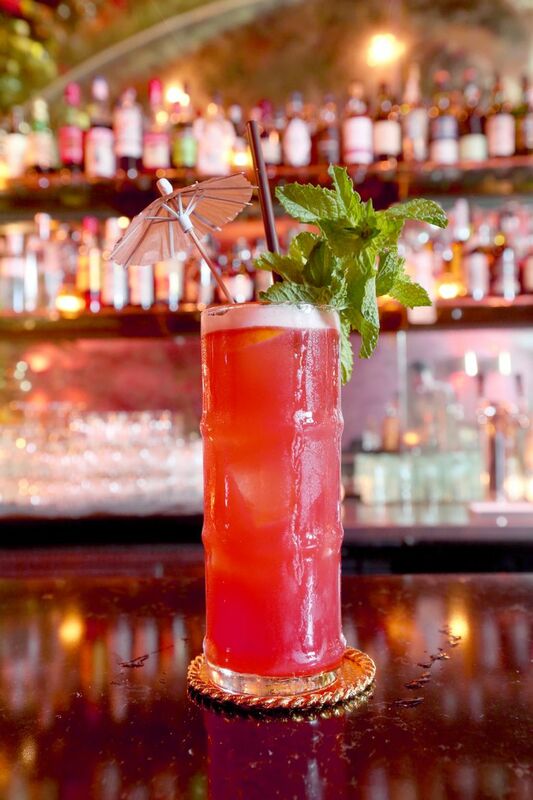 The menu at this 28-seat bar blends tiki with tweaked classics: A Singapore Sling comes with a bracing cognac bite; a sorrel sour that hints at citrus instead takes a pleasant grassy, vegetal turn. Request a whiskey-stir drink and the result is a liquid-nitrogen Sazerac that not only comes with much rye-heat but also some razzle-dazzle — the bartender vaporizing the smoky-haze before serving the tipple. Bar manager Adam Fortuna put together a playful and exciting cocktail program, mixing Southeast Asian ingredients to mesh with a setting that seems ripped from the pages of Graham Greene’s Vietnam. As at Stateside, the bar snacks meld Vietnamese with other cuisines. At times French. At times Thai. Snacks you will want again and again: The shells of the curry puffs (2 for $5) are as flaky and buttery as a croissant. The egg-yolk finger-sandwich tastes like a gooey Camembert. 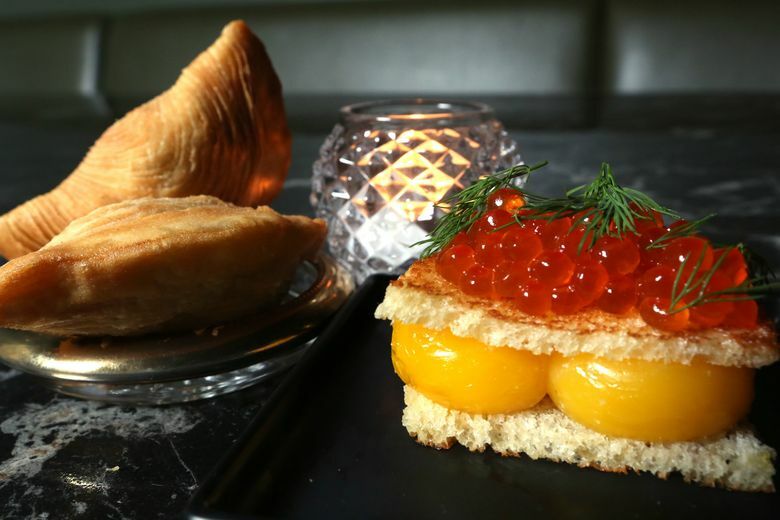 It’s crowned with salmon roe ($9), or for the trust-fund set with paddlefish roe ($46) or Siberian Sturgeon caviar ($85). For the rest of us working stiffs, the rest of the bar snacks range from $4-$7. Some are acquired tastes like the pho-noodle-wrapped braised beef rolls and the fermented-pork-and-sticky-rice sausages; they’re salty, umami bombs that, while true to the spirit of Vietnamese beer food, clashed with the subtle cocktails. 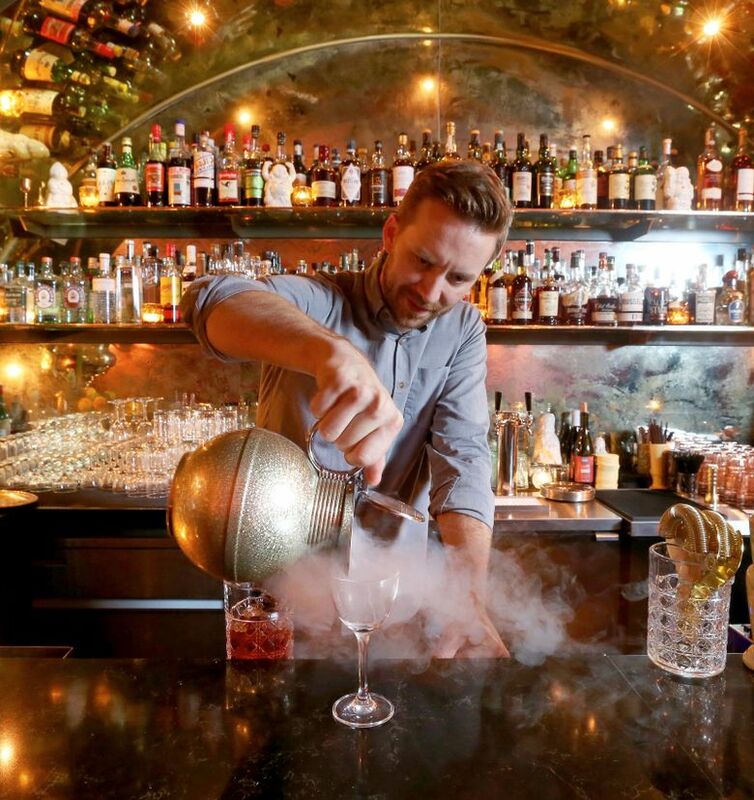 Foreign National takes a lot of risks: dabbling in molecular mixology when the trend is toward simpler, pared-down drinks; showcasing Asian-street noshes that may be too pungent for the mainstream; and offering millennials a setting more familiar to their parents. True to its name, Foreign National went for the stranger-in-a-strange-land vibe. It dares to be distinctive in a city full of copycat bars, making it the best and most ambitious cocktail bar to debut in Western Washington so far this year.